Exit/Exist a sensitive solo work will make a return to The Market Theatre for a 10 day season during Africa month, starting 9 May – 19 May 2019. This piece still resonates with South Africa today, as we continue to weave through the necessary discourse of land as a nation. It reflects and explores the memory of Maqoma’s distant ancestor, Chief Jongumsobomvu Maqoma one of the most renowned Xhosa leaders, who was born in 1798, arrested when he ordered the English colonisers to liberate Xhosa land and died in Robben Island in 1873. Under the direction of James Ngcobo, Maqoma is accompanied on stage by four South African singers and a guitarist Giuliano Modarelli who help facilitate the telling of the story through their harmonious vocals, and with the musical composition from Simphiwe Dana. Vuyani Dance Theatre (VDT) established in 1999 under the leadership of Gregory Maqoma became one of the ground-breaking greats in South African dance history, while the work of VDT grew beyond the limits of the stage to encompass education, community outreach, and cultural dialogue. Vuyani Dance Theatre now embodies two decades of achievement, celebrating the human spirit with performances that unite and inspire audiences. During this celebratory year of performances, special events, and community activities, VDT will honour this pioneering legacy and its repertoire and carry it forward. 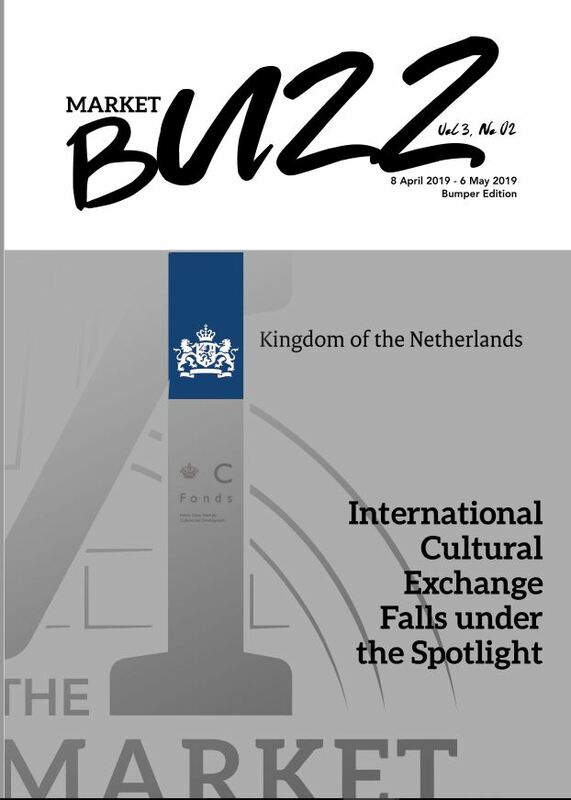 Co-produced by the KVS (Belgium), Theatre de la Ville (France) and Dance Umbrella (SA), Exit/Exist was first presented in Belgium in December, 2011. Since its premiere has received international acclaim in over one hundred cities around the world including a New York City Bessie Award for Achievement in Music and Dance Collaboration. 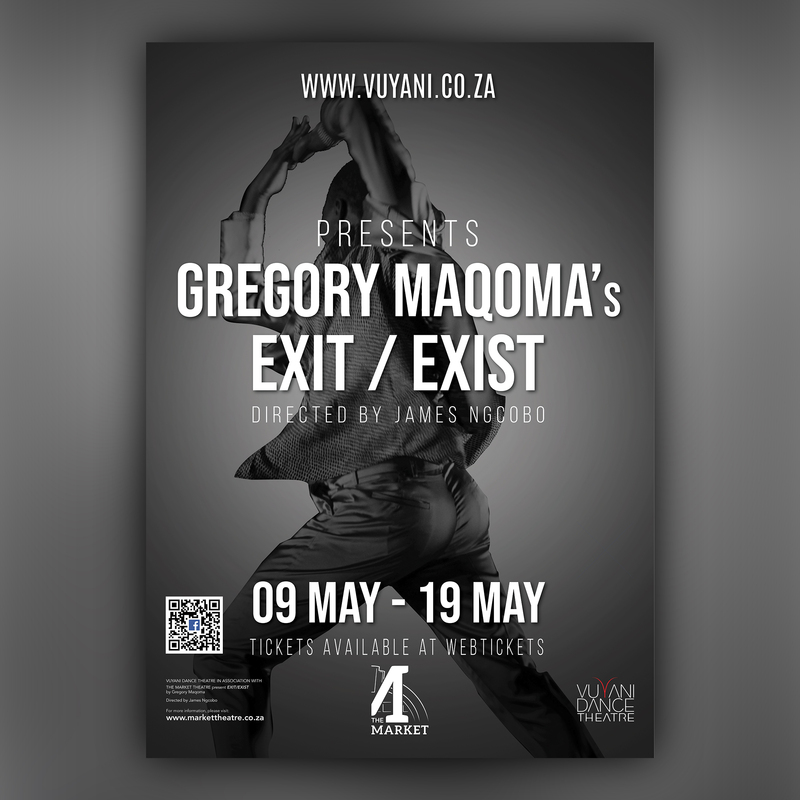 Exit/Exist’s to return to Johannesburg is in association with The Market Theatre, produced by Vuyani Dance Theatre. Gregory Vuyani Maqoma became interested in dance in the late 1980’s as a means to escape the political tensions growing in his place of birth. He started his formal dance training in 1990 at Moving Into Dance where in 2002 he became the Associate Artistic Director. Maqoma has established himself as an internationally renowned dancer, choreographer, teacher and director. He founded Vuyani Dance Theatre (VDT) in 1999 when he was undertaking a scholarship at the Performing Arts Research and Training School (PARTS) in Belgium under the direction of Anne Teresa De Keersmaeker. Several works in his repertoire have won him accolades and international acclaim. This includes FNB Vita Choreographer of the Year in 1999, 2001 and 2002 for Rhythm 1.2.3, Rhythm Blues and Southern Comfort respectively. He received the Standard Bank Young Artist Award for Dance in 2002. Maqoma was a finalist in the Daimler Chrysler Choreography Award in 2002 and in the Rolex Mentorship Programme in 2003. He is the recipient of the 2012 Tunkie Award for Leadership in Dance. In 2014 he received a “Bessie”, New York City’s premier dance award for Exit/Exist for original music composition. He served as a nominator in the 2016–2017 Rolex Arts Initiative as well as curating the 2017 Main Dance Program for The National Arts Festival. His current works ‘Via Kanana’ and ‘Cion: Requiem of Ravel’s Bolero’ ’ are currently touring in Africa and Europe. In 2019 Maqoma is choreographing and performing in William Kentridge’s new opera ‘The Head And The Load’ which premiered at The Tate Modern Gallery in London in July, the world tour includes Germany, Holland, Austria and New York. Tribhangi means ‘three bends in a body’ and this is demonstrated through their unique presentation, challenging experimentation, enthusiasm and energy – hallmarks of every Tribhangi performance. They journey through the art form, experiment, explore and challenge notions of what Indian Dance is. Their aim is to present work that is intelligent in content, unique in presentation and challenging in its experimentation.